While cleansing and exfoliating your face are important for supporting healthy vibrant skin, it messes with the pH balance of you skin. The ideal pH balance of your skin should be about 5.5. It can take up to an hour after washing and exfoliating your face for the pH balance to be restored to that normal state. Is there a way to bring the pH to an optimal balance faster? Absolutely! This can be achieved by using a refreshing toner, like Young Living's ART Refreshing Toner! 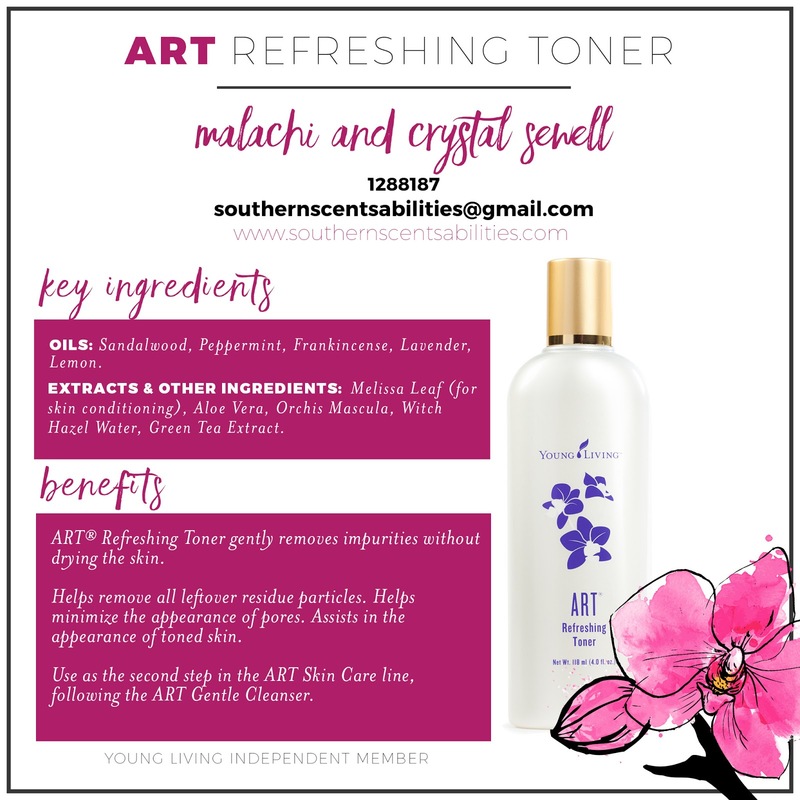 Young Living's ART Refreshing Toner contains some of the finest ingredients to help support the health of your skin. It contains Lavender, Lemon, Melissa, Sandalwood and Frankincense Essential Oils, Aloe Vera, Melissa Leaf Oil, Lavender, Green Tea Extract, Orchid Flower Extract and Witch Hazel Water. This toner is especially great and effective for keeping environmental debris and other pollutants to a minimum and it also increases blood circulation to give your skin a healthy glow! Did you know that men have a greater need for toner? Their pores are considerably larger, and this toner may be a great way to support a man's overall skin health by keeping those pores clean! Now, our faces need moisture - even oily skin. We will talk about moisturizing and what Young Living has to offer us! I just recently purchased the skin care trio. I love the toner. I've been following you on fb and that's why I bought YL skin care products to begin with! Thanks!